Christmas is coming and it's time to transform every room in the house into a winter wonderland. These super cute feather trees are sure to do the trick! 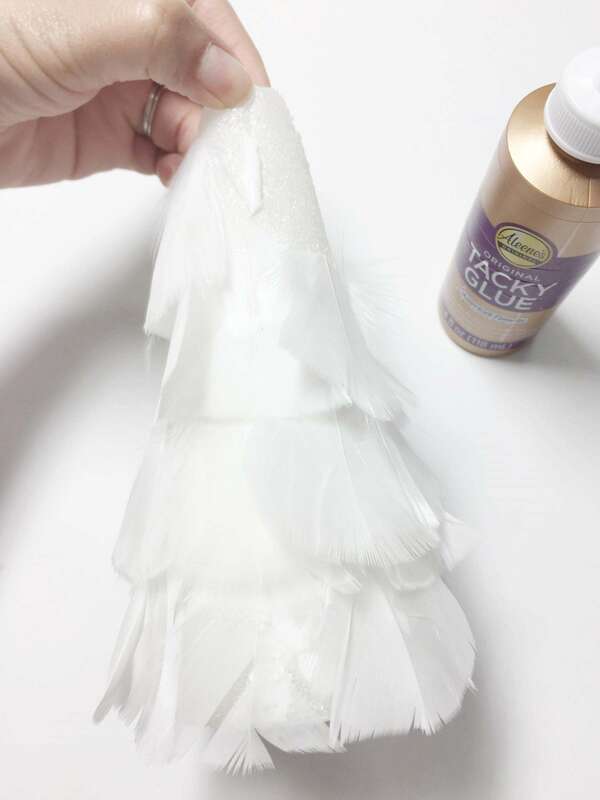 Begin by adding a small amount of tacky glue to the bottom of the cone and adding feathers. Continue this technique as you make your way to the top of the cone. once you get to the top and the cone is all covered with feathers let it dry for a few hours and add a decorative star to the top. 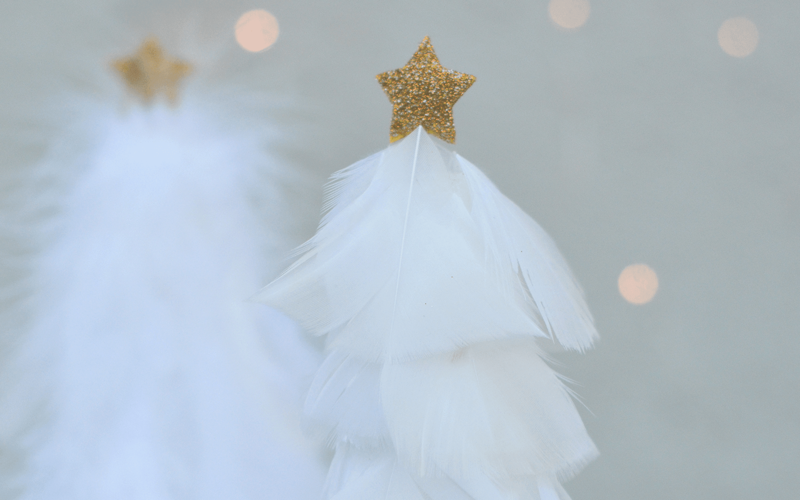 These beautiful feathered Christmas trees are sure to give any room a winter wonderland feel!